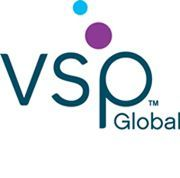 VSP Global is a group of international and technologically advanced businesses. Working here isn’t just a job for us; it’s an opportunity to make a difference and contribute at work, within our professions, and across the world. Our mission drives us: we help people see. We have no shareholders, so our profits are reinvested back into our businesses, our communities, and our people. We honor our customers, our environment, and one another.